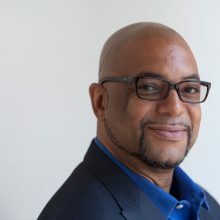 Executive Vice President, The Fortune Society, Inc.
Stanley Richards is the Executive Vice President of The Fortune Society (Fortune), a 50-year-old service and advocacy non-profit organization based in New York City whose mission is to support successful reentry from prison and promote alternatives to incarceration. Stanley is a formerly incarcerated man of color with decades of experience in the criminal justice field. His professional experience began in 1991 at Fortune, where he initially worked as a Counselor. Between 1997 and 2001, he served as the Deputy Director of Client Intervention at Hunter College Center on AIDS, Drugs and Community Health. After returning to Fortune and receiving a series of promotions, today, Stanley is the second-highest executive and has responsibilities in the overall management of Fortune and oversight of all direct service programs. He also represents Fortune’s fundraising and advocacy work, having taken on a leadership role in its David Rothenberg Center for Public Policy. Stanley was recognized by the Obama administration as a Champion of Change for his commitment to helping individuals impacted by the justice system, and also became the first formerly incarcerated person to be appointed by the City Council Speaker to the NYC Board of Correction, a regulatory oversight body for setting minimum standards of care, custody and control of people incarcerated in New York City jails. He currently serves on a number of other committees and boards as well, including his appointment to the Independent Commission on New York City Criminal Justice and Incarceration Reform chaired by former NYS Chief Judge Jonathan Lippman, which created and released a blueprint, “A More Just New York City”, for the future of criminal justice in New York City; his appointment by Mayor de Blasio as Co-Chair of the Working Group on Design, a subcommittee of the Implementation Task Force, to ensure effective implementation of the “Smaller, Safer, Fairer: A Roadmap to Closing Rikers Island” initiative.